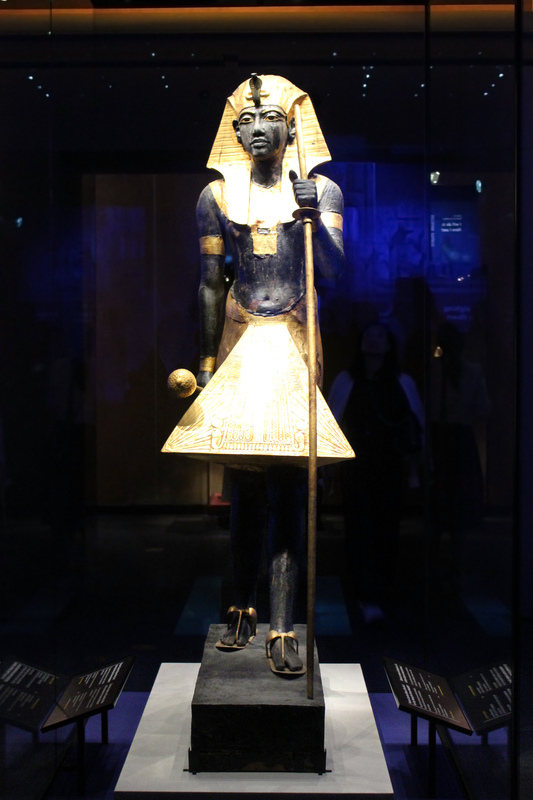 Tutankhamun had so many beautiful things, I sure hope he had some time to enjoy them while he was still alive. 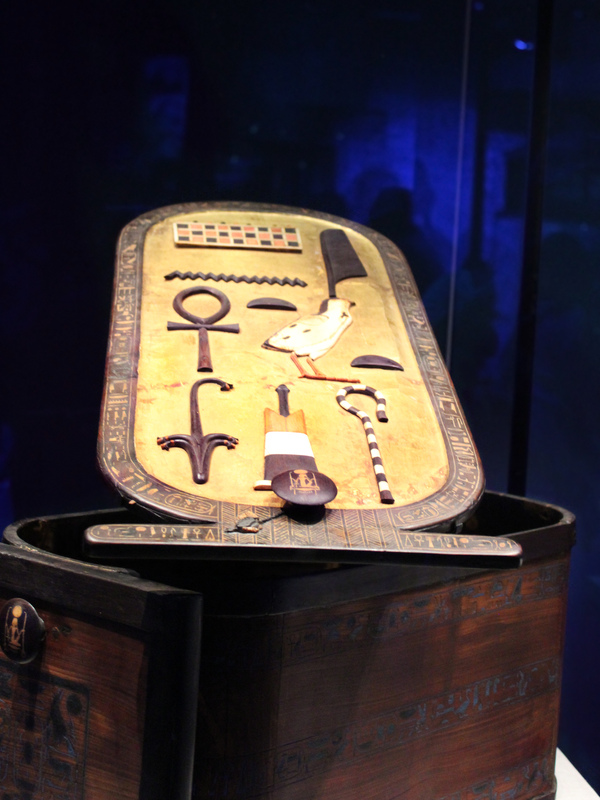 "Both this crook and the flail were found in the cartouche-shaped box. 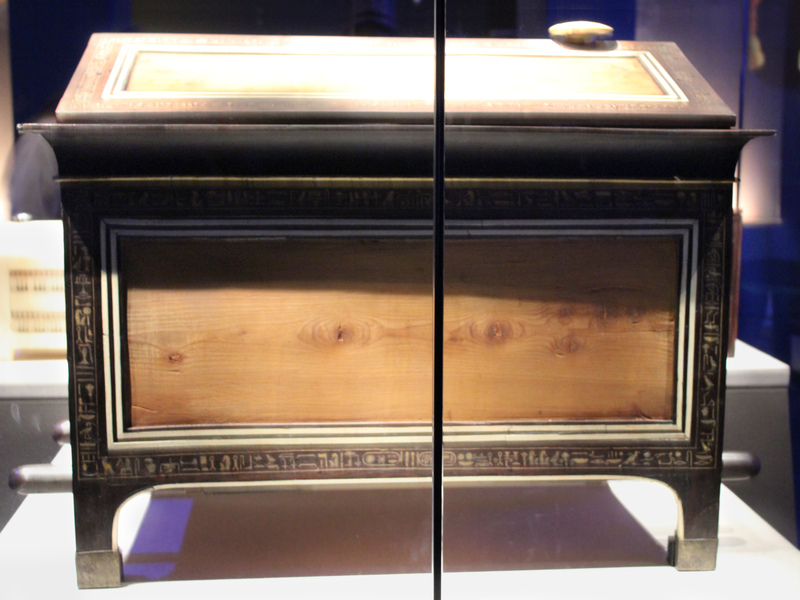 Tutankhamun's name is inscribed on both. 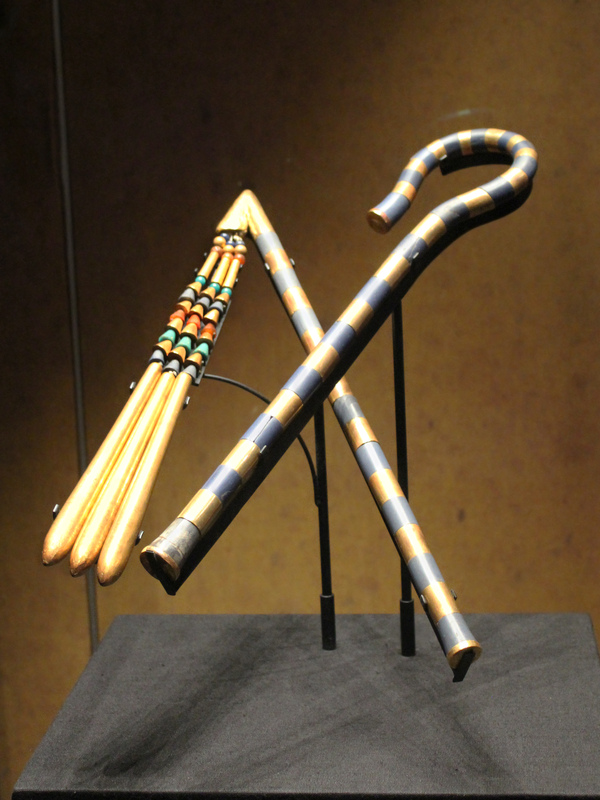 [These] and another royal crook and flail from the tomb are the only examples ever discovered." 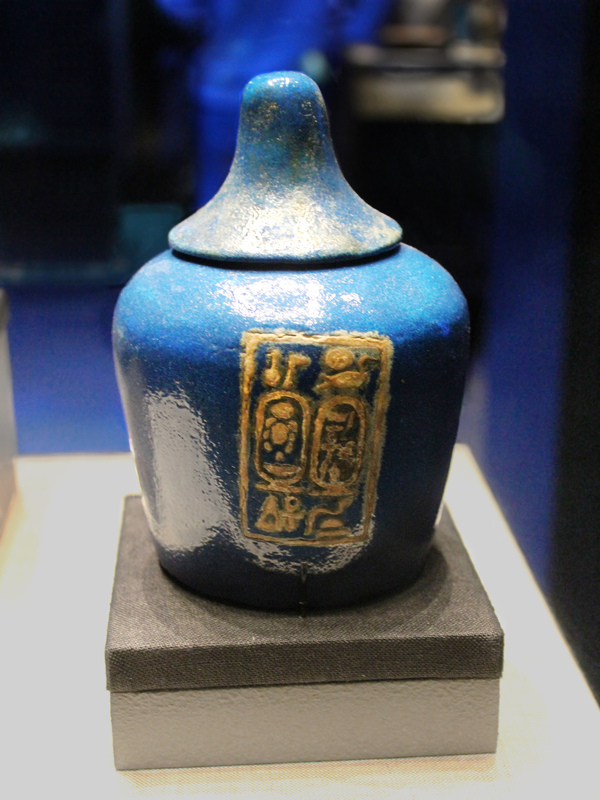 "The king's cartouche is written on this teapot-shaped nemset vessel. 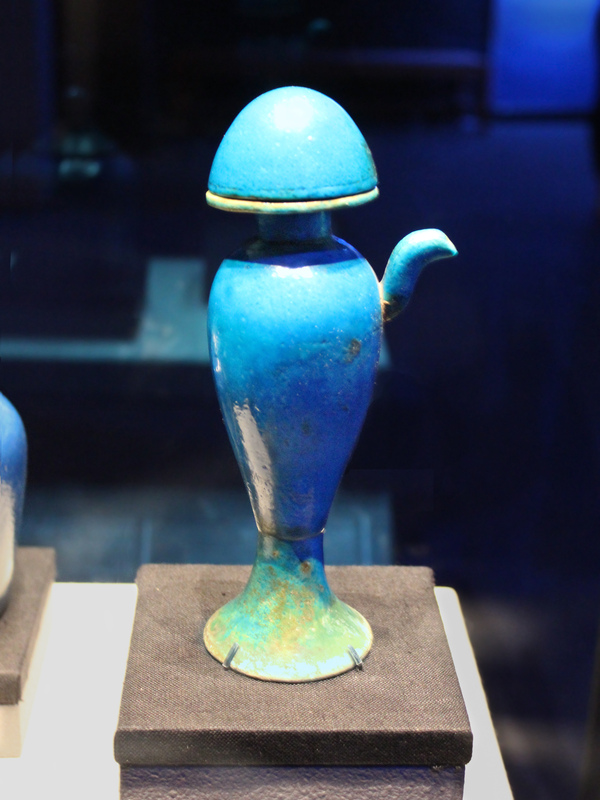 Like the vase, it is made of Egyptian faience: ground quartz with an alkaline glaze." 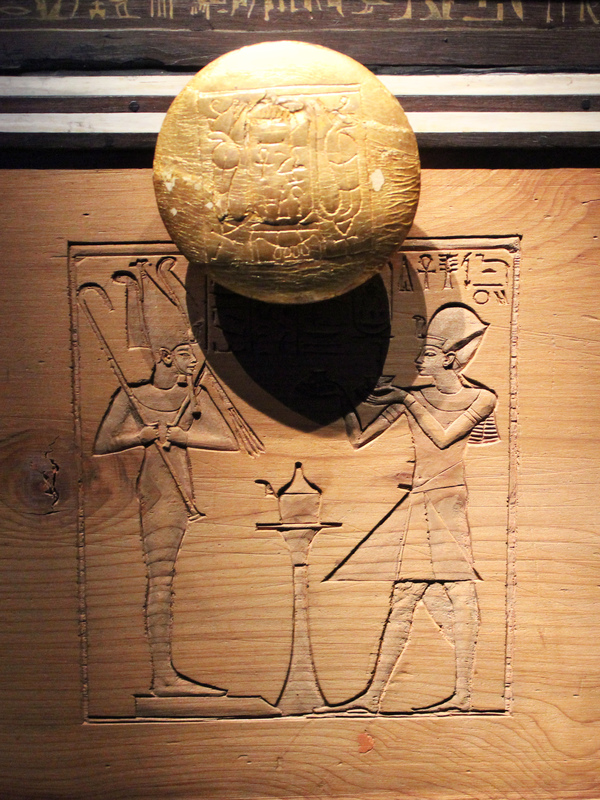 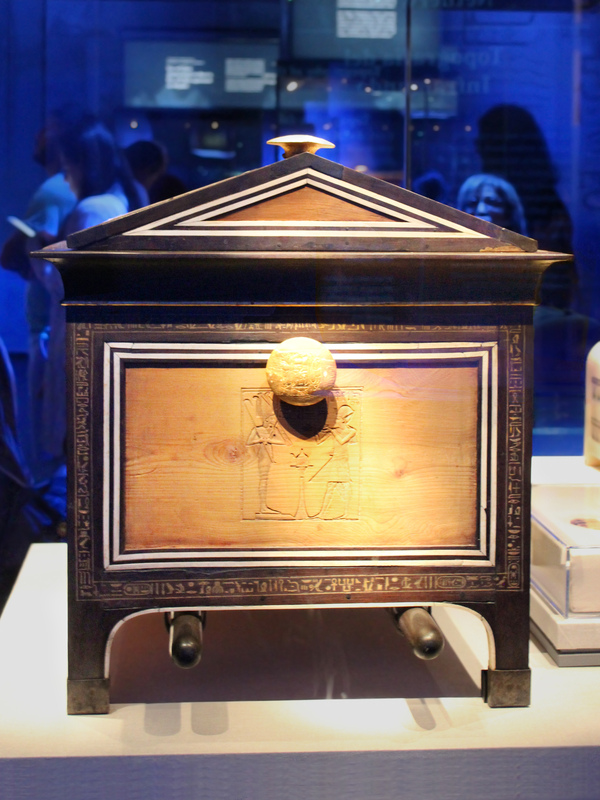 "This box shows Tutankhamun making an offering to Osiris. 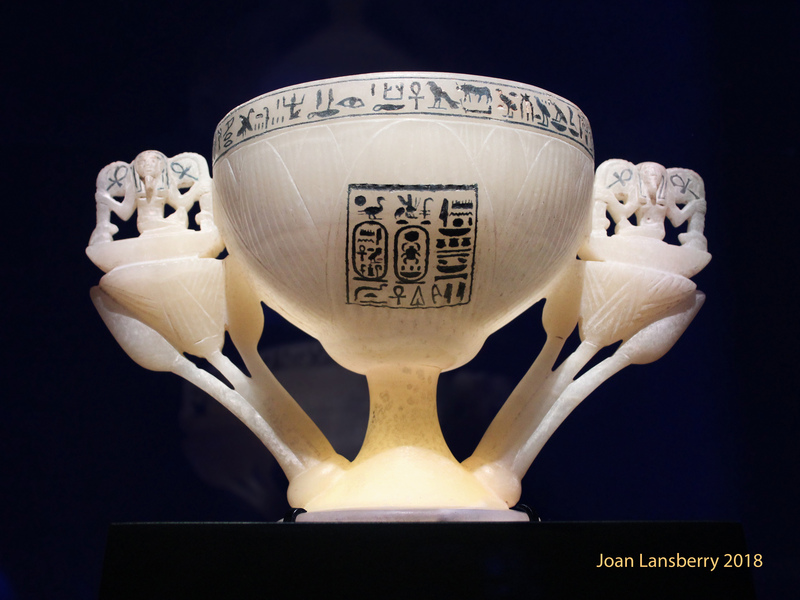 It contained glass vessels, incense, ostrich featherss, and other ritual objects for the Opening of the Mouth ceremony." 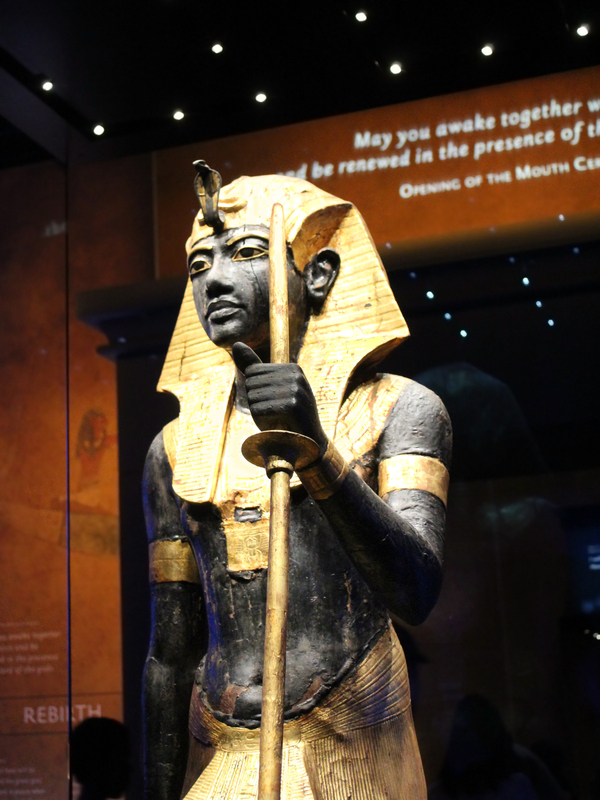 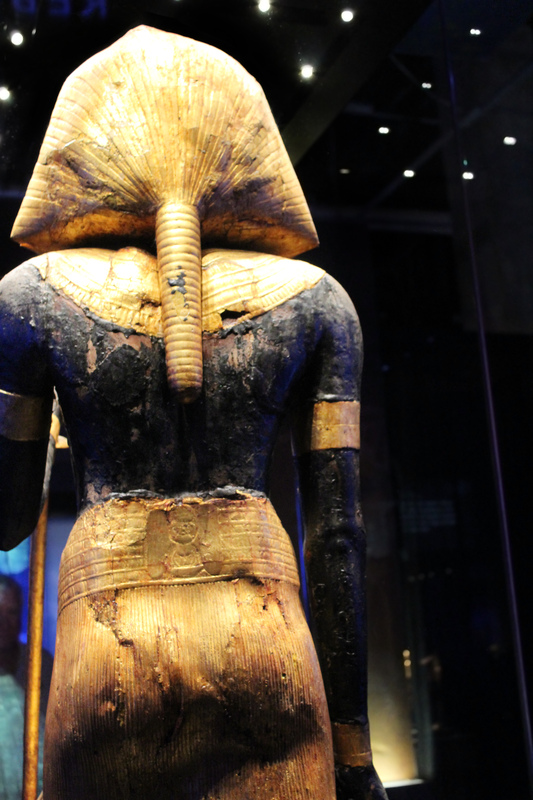 This is one of a matching pair that once flanked the entrance to Tutankhamun's burial chamber and acted as guardians for the tomb and as Ka, or spirit, statues. 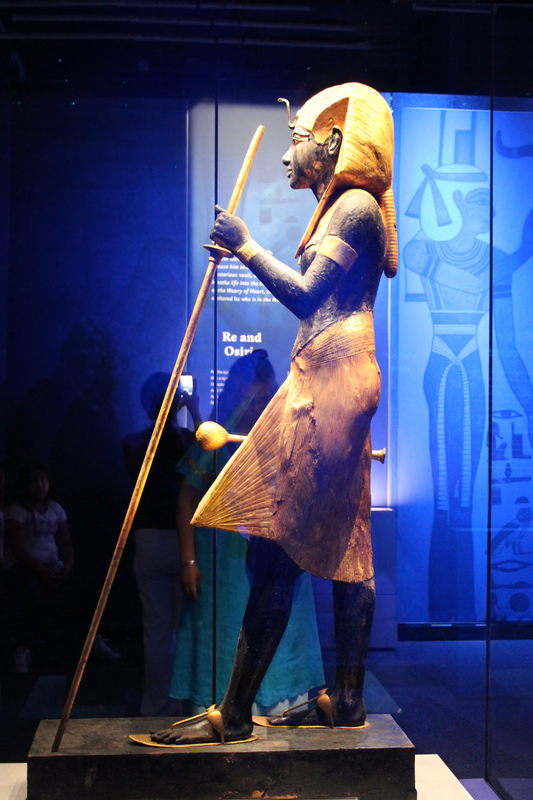 While this one has the nemes headdress, the other statue wears a "khat" headdress. 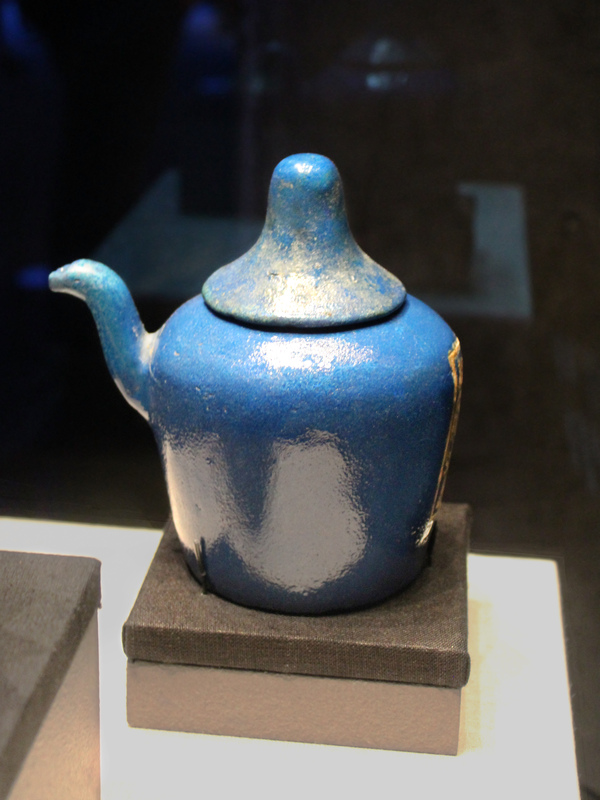 More photos to come in a later post!